Angus Muffin often took the form of kindly human father figure Sid Viscous when studying The Diagonal away from Rubi. Here he sits in what novel 4 (“Collagesity 2017 Middle”) deems the PCH Forest, former or perhaps even future (!) abode of recently resurrected Clare Nova, remembering that Clare is the literal flip side, as it were, of our Fisher. But what does this really mean? 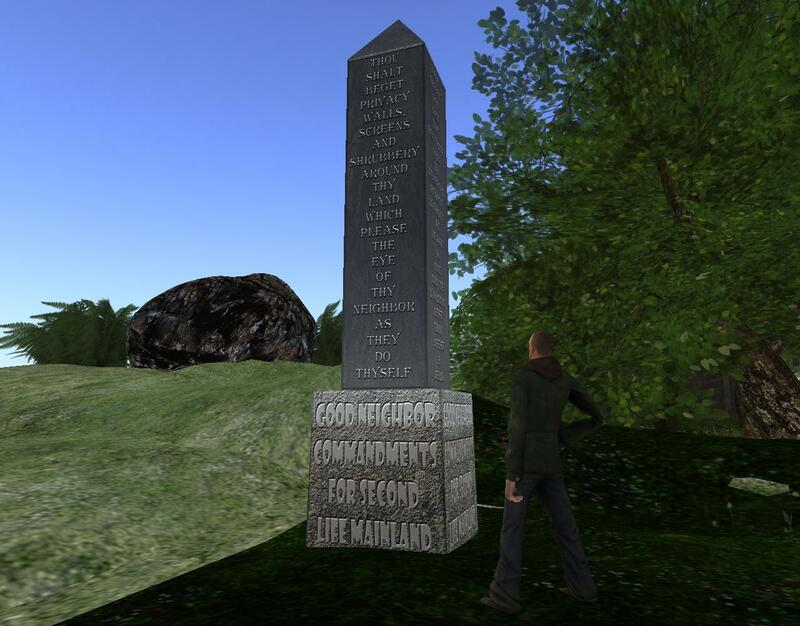 Sid ponders while sitting on a bit of projecting natural Linden grass in the woods at 35/35/100 Hooktip and staring toward Clare’s “Good Neighbor Commandments” obelisk also sitting smack dab on The Diagonal. The PCH Forest hasn’t changed significantly since novel 4, as far as Angus/Sid can tell (I’ve given him permission to access this blog for his studies, warning him to quickly avert his eyes when encountering infinity points within). He thinks this *non*change is unusual in itself, given the several makeovers the forest went through during my more intense focus on it toward the end of that novel. 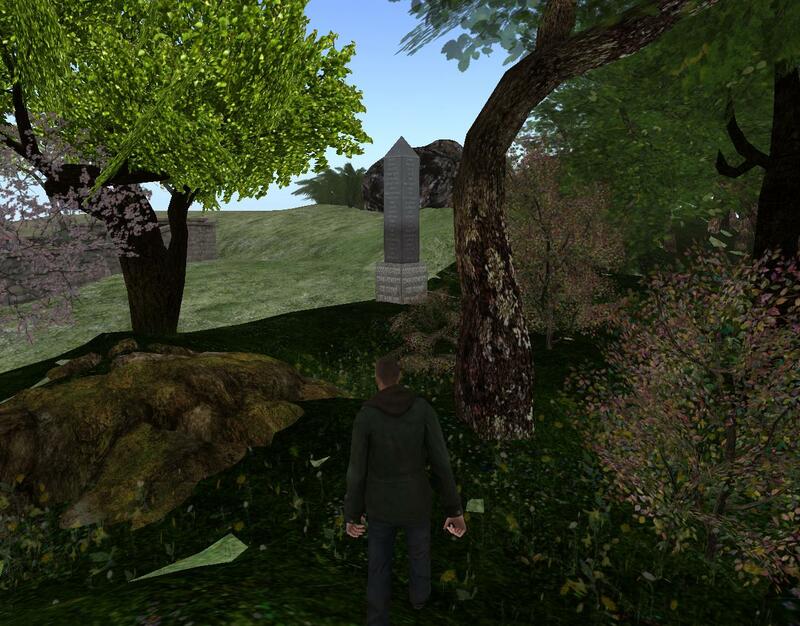 He stands up and walks toward the obelisk, situated on the southern edge of the forest. As always, he tries to follow The Diagonal in as straight a line as possible by keeping the first two coordinate points of his position the same at any time. Not as easy as it might sound! So here, directly in front of the obelisk, for example: 4/4/99 Hooktip. Tonight Sid finds what could be an important clue about The Diagonal in this area. 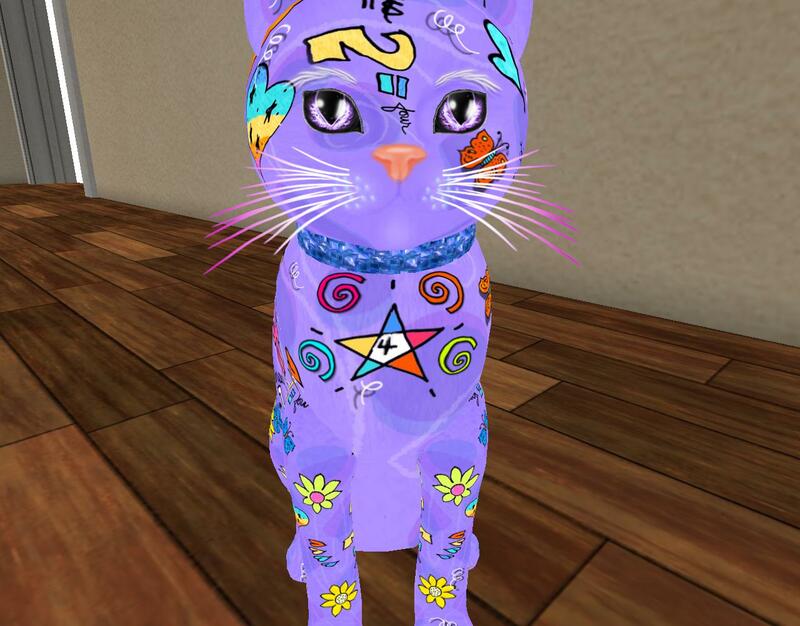 He’s uncovered that an avatar named [delete] has a small, two story apartment directly on it who is a fan of Firesign Theatre, just like his user, and is part of a Second Lyfe group called Firesigntheatergoers. Never mind that the actual spelling of the famed comedy group is “Theatre” and not “Theater”. There’s still some pretty interesting synchronicity going on here. 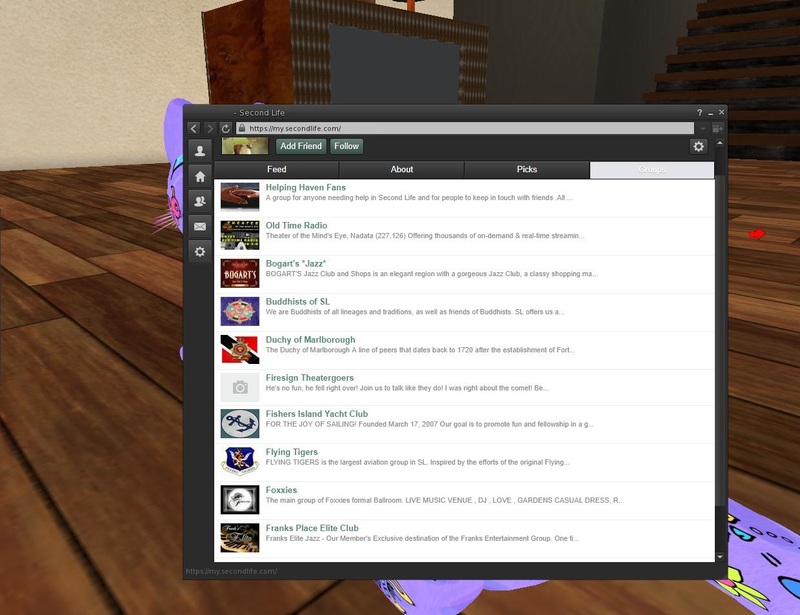 Check out the group in [delete name’s] list that comes after it: *Fishers Island* Yacht Club. And out of the 5 other members of Firesigntheatergoers, 2 are Baker Bloch himself plus his alt Bracket Jupiter. “How Can You Be in Two Places at Once When You’re Not Anywhere at All” indeed! But for now, Angus/Sid has to get back to Collagesity to work his shift as a recently hired cook at Perch. He needs to devise a plan to get rid of that job. Asap! He has to have more time with The Diagonal. Fishers Island Yacht Club is an obvious next possible destination. And a friend request has been sent to [delete name].